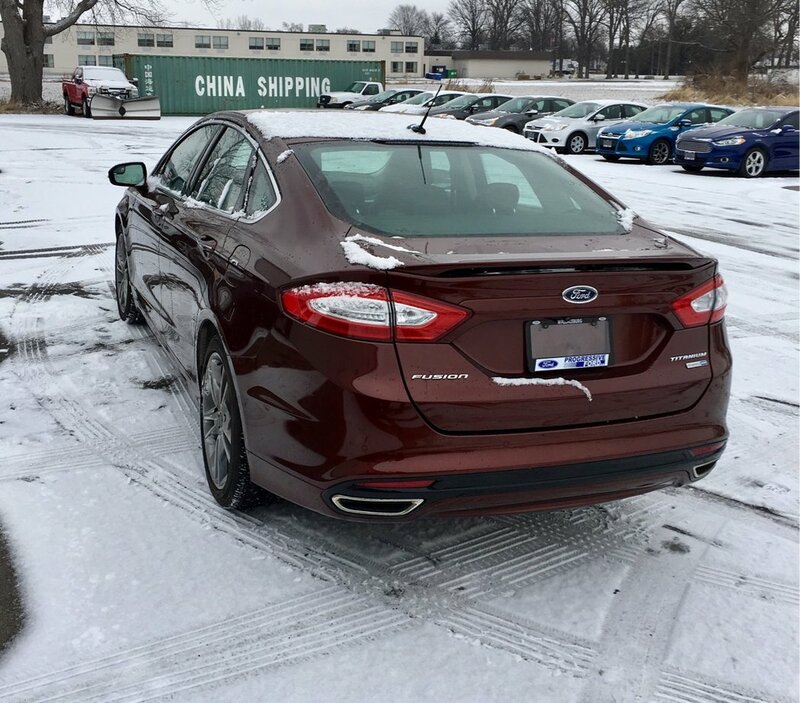 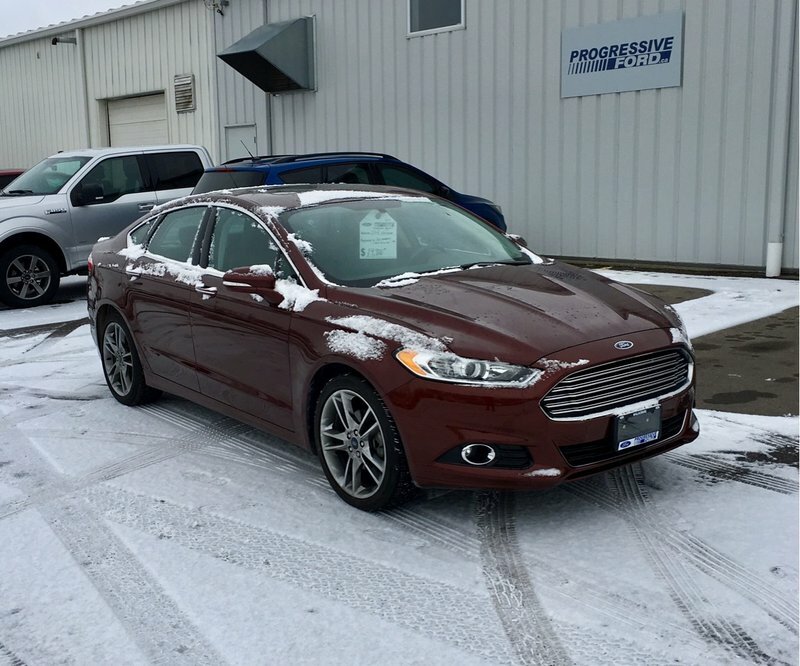 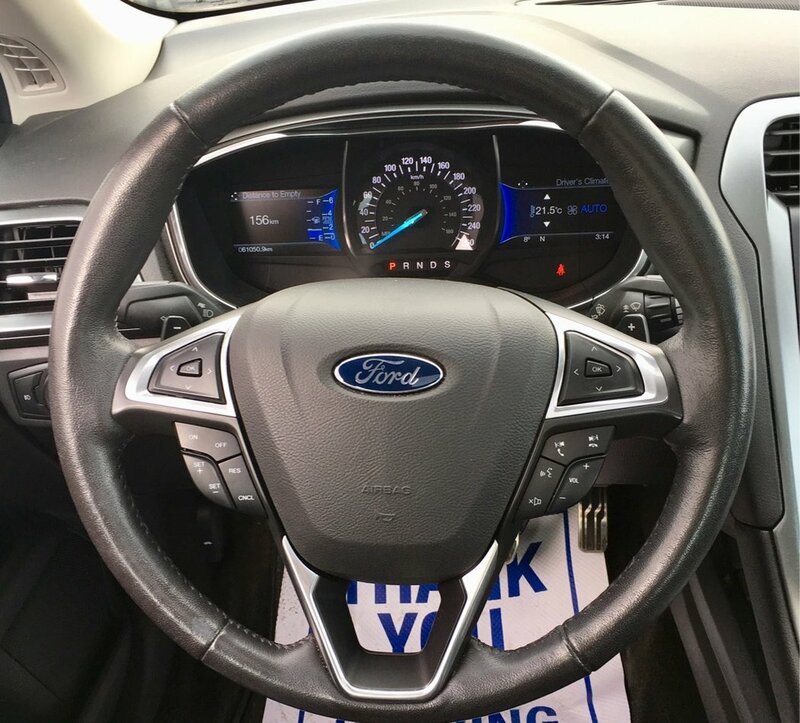 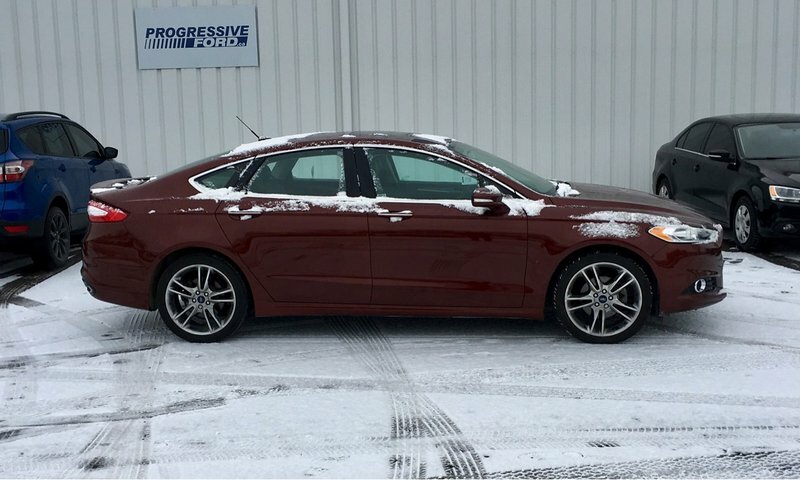 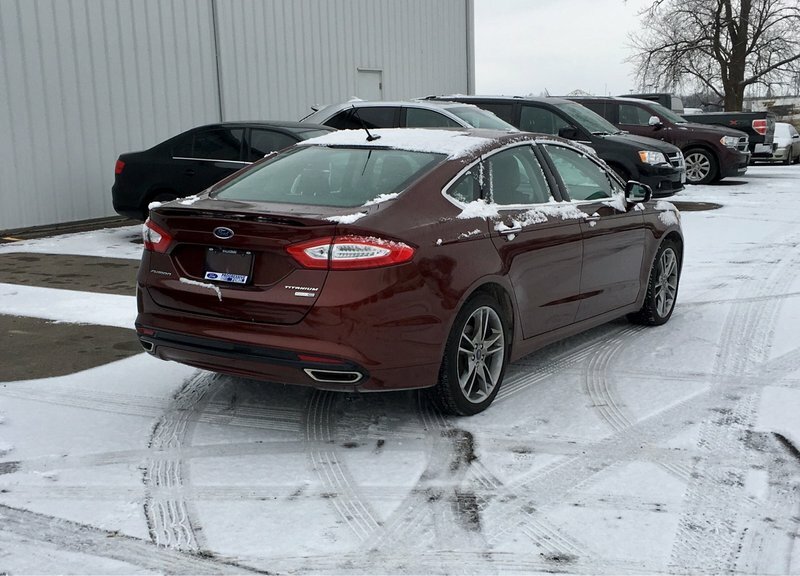 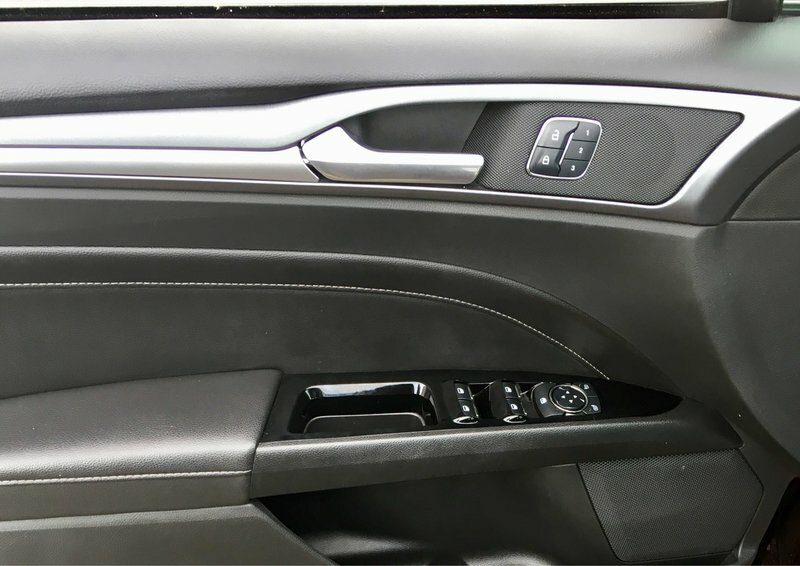 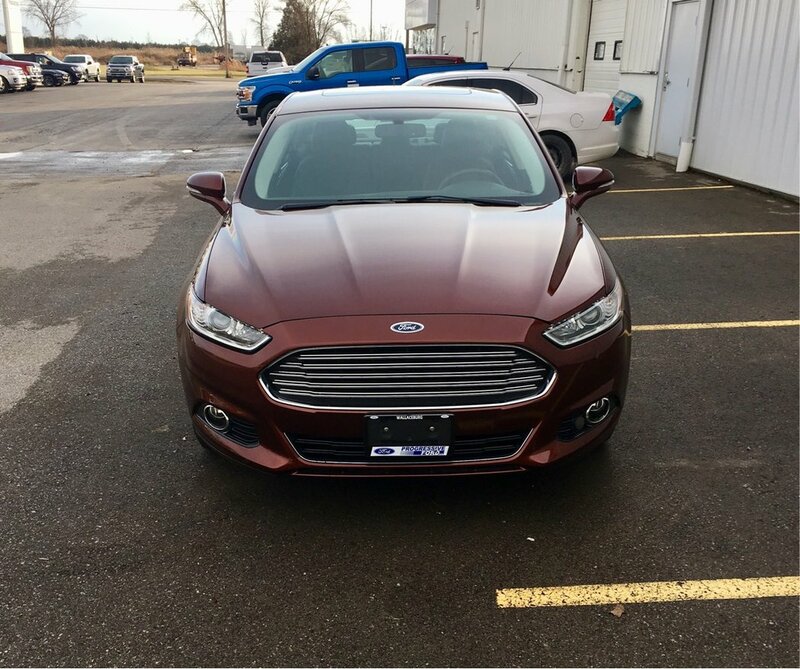 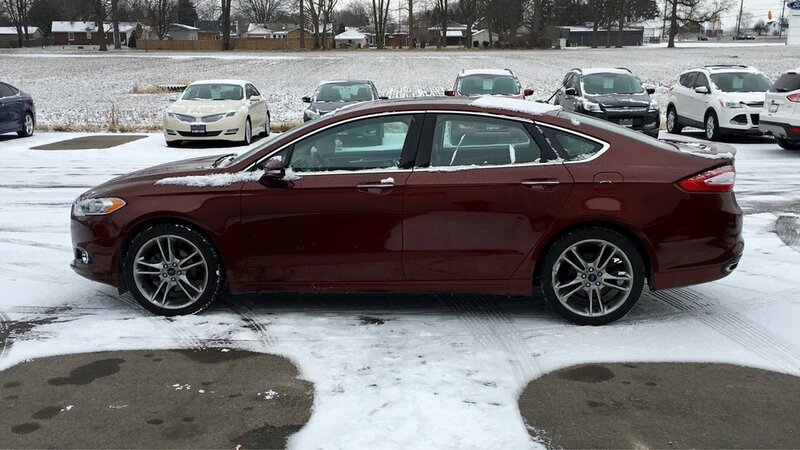 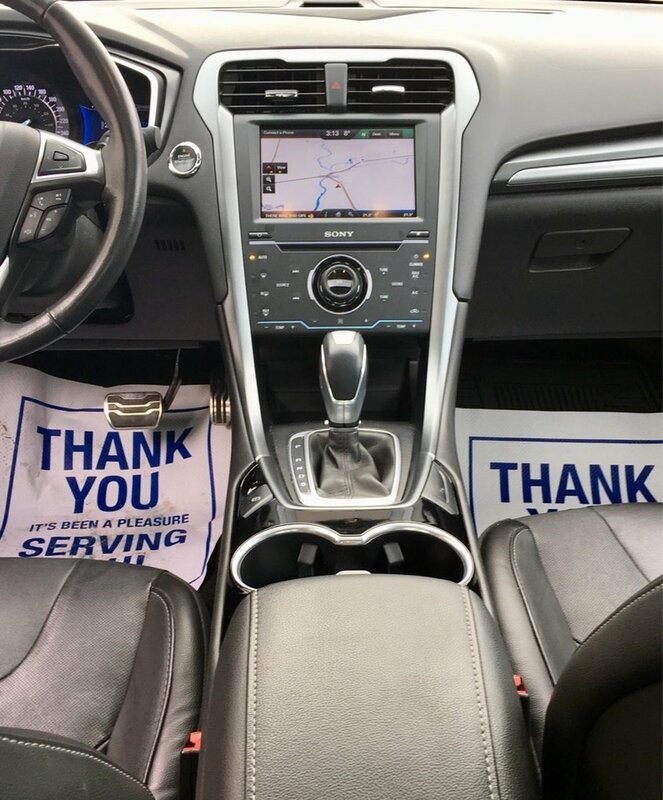 2015 FUSION TITANIUM AWD! 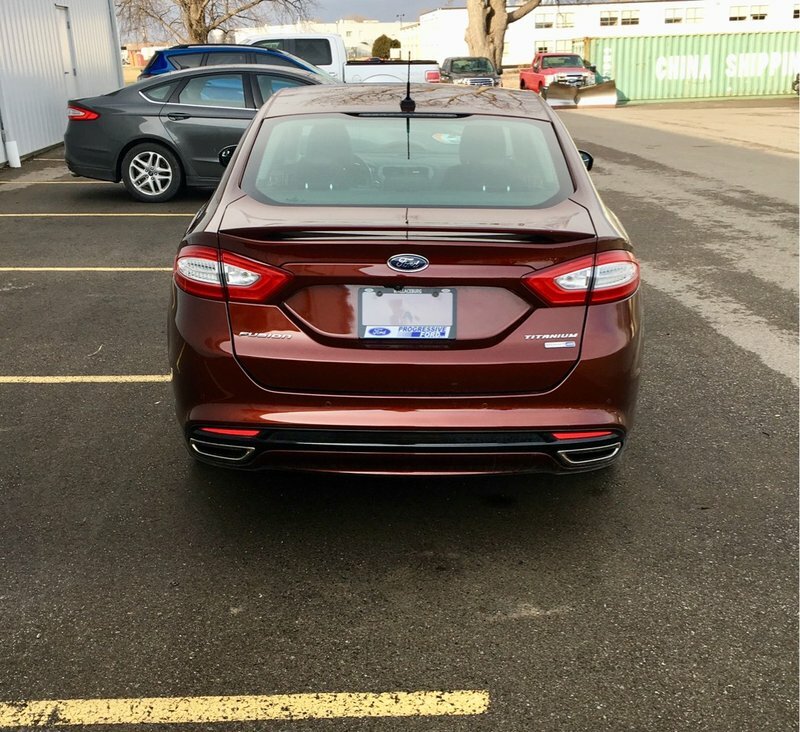 ONE OWNER, LOCAL TRADE! 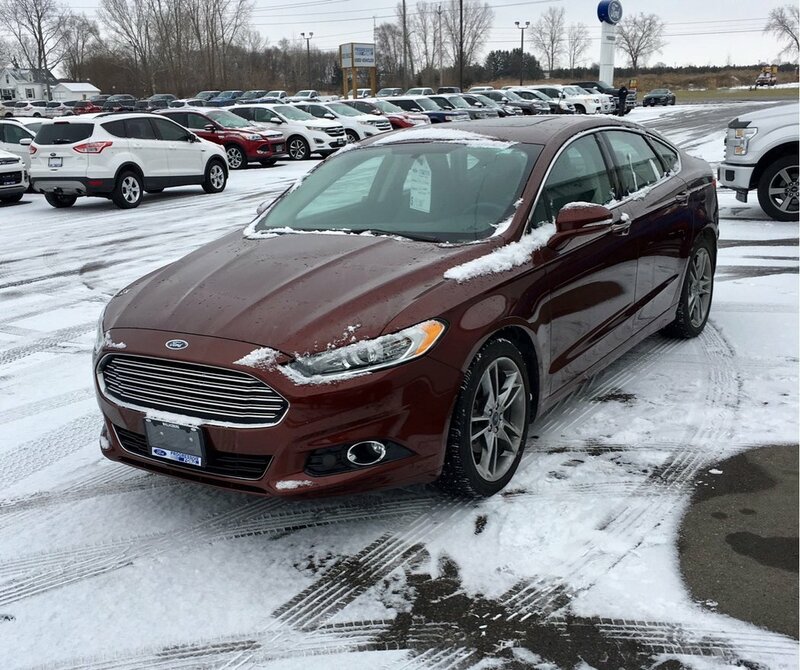 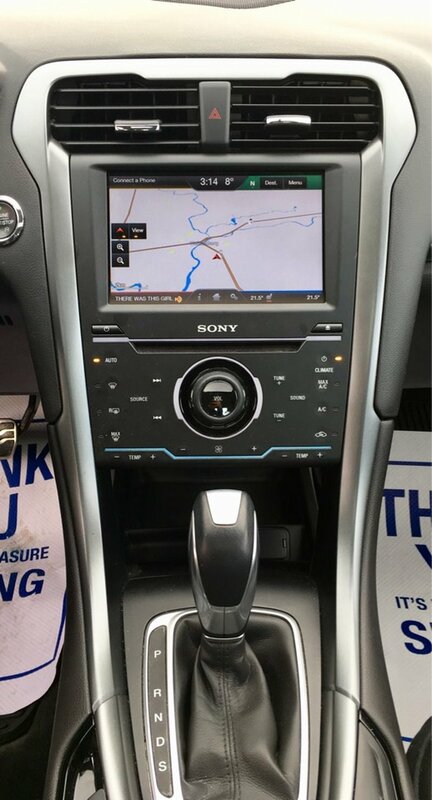 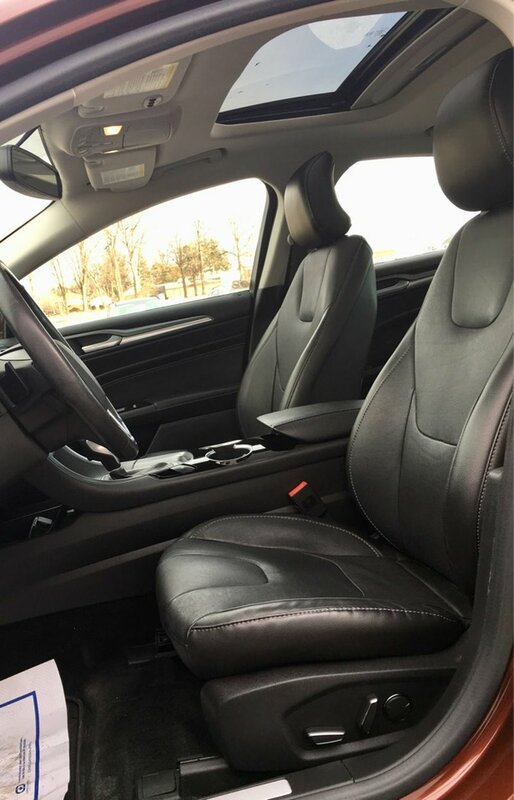 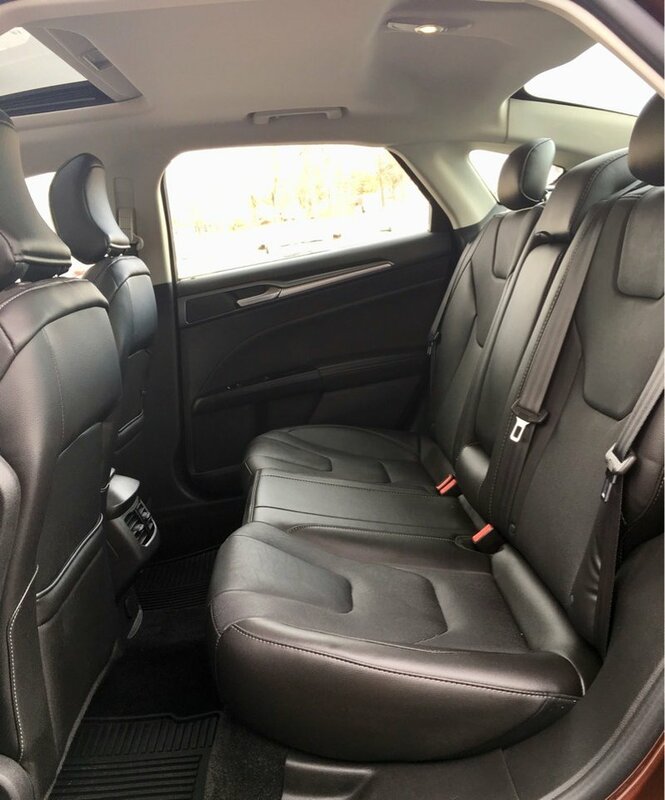 MOONROOF, NAVIGATION, HEATED/COOLED FRONT SEATS, 19" ALUMINUM WHEELS, HEATED STEERING WHEEL! 2.0L GTDI Engine, Rear Spoiler, SONY Audio, SYNC, Auto Climate Control, Remote Start, Reverse Sensing with Camera, and more..Winter rims on vehicle available for $600, summer set come with vehicle.